Everyone pays attention to a Supermodel. Not just because of their incredible physical appearance, because there is an intrigue about them, and the public goes from looking at just another face hawking clothes in a magazine, to being curious about this personality. 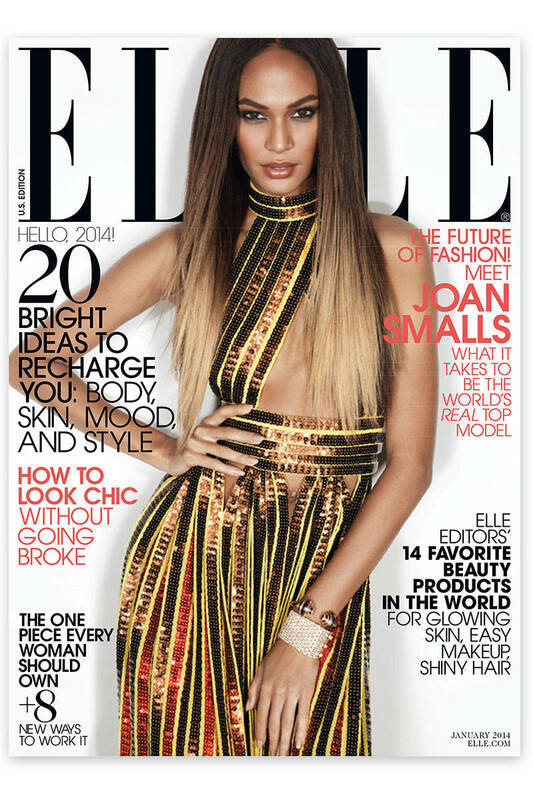 Joan Smalls is part of the new breed of supermodels, but she is a very recognizable face in the fashion world, having appeared in the Pirelli calendar, Vogue magazine, W magazine, and modeled for the creme de a creme of designers such as Gucci, Victoria’s Secret, Calvin Klein, Fendi, Hugo Boss, Versace and the list goes on. It’s not just her modeling gigs that have cemented her as the no.1 model in the world, according to Models.com. At just 25 years old, the Puerto Rican beauty became the very first Latina face of Estee Lauder when she signed on to be one of their global beauty ambassadors in 2011. She is also the 8th highest paid model in the world in 2013, according to Forbes.com. She is Elle Magazine’s January 2014 covergirl and used that opportunity to not only dish on her fave fashion flavors, but speak up about an issue that is important to her: diversity. Although her career is going from strength to strength, she feels the industry needs to widen its scope and change the way it portrays women. She joins fellow supermodel Naomi Campbell and Jourdan Dunn who are also outspoken champions for more diversity on the catwalk. 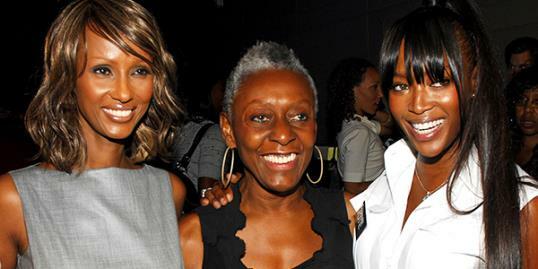 Naomi, along with supermodel Iman, and fashion activist Bethann Hardison spoke to the press during New York Fashion Week in 2013 saying diversity is a powerful message. They acknowledge change does not happen easily, but the group, who wrote letters to all the major fashion week organizers in the world urging them to diversify their shows says if they don’t speak up for their fellow ethnic models, who will? “There is a time when silence is not acceptable at all. And if the conversation cannot be had publicly in our industry, then inherently there is something wrong with the industry,” says Bethann Hardison. Jourdan Dunn, one of only a handful of African-American models who have graced the cover of the prestigious Vogue Italia, says there aren’t enough ethnic women on the runway, period. The British beauty says it is important the fashion industry recognizes the greater impact of diversity, and it needs to stop making excuses. Ethnic Diversity and racism are still hot topics even today, but they are issues that can only change if people are willing to speak up about them. The truth is we all want to see ourselves reflected in advertizing, magazines and runways. The fashion industry is responsible for it’s part, yes, but we also have opportunities to step in and create awareness so that going forward, the notion of beauty will be much more accessible and varied. Let’s hope we start to see more and more models urging the upper echelon of fashion to get with the program!